Church. The school boasted an enrollment of 16 students with two professors, Lars Larson and F.A. Schmidt. 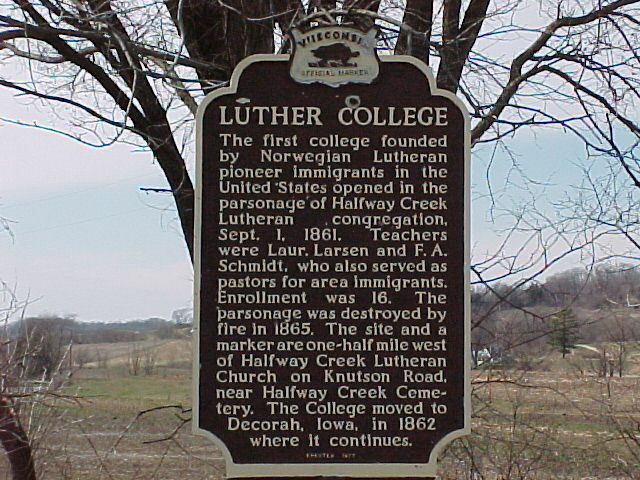 In 1862, the college moved to Decorah, Iowa, where it maintains a strong Norwegian Lutheran heritage. The parsonage was destroyed by fire in 1875.